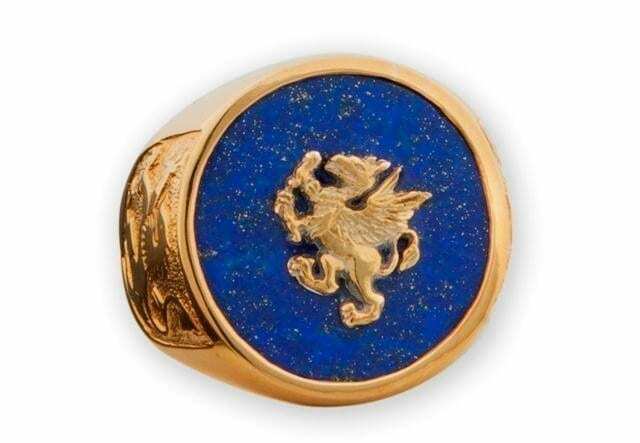 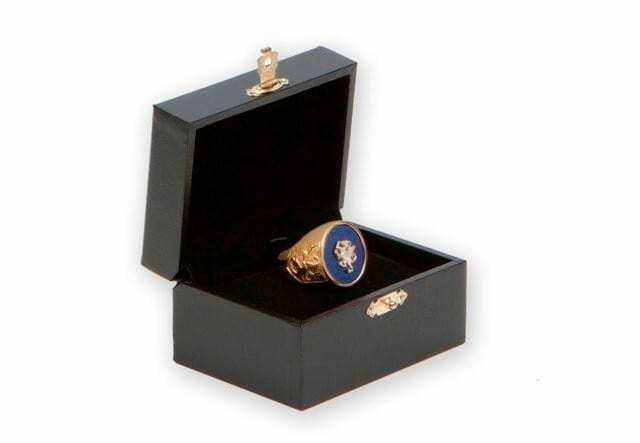 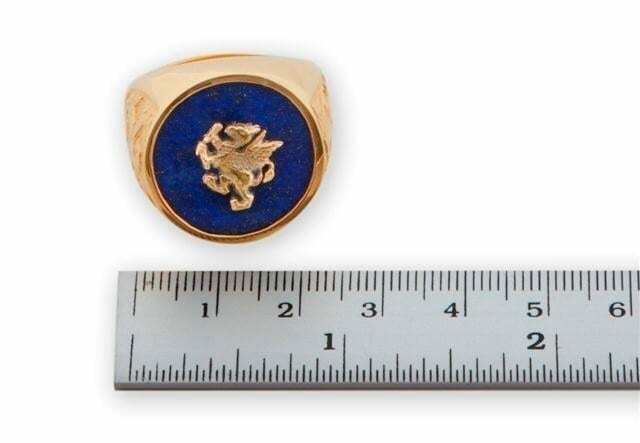 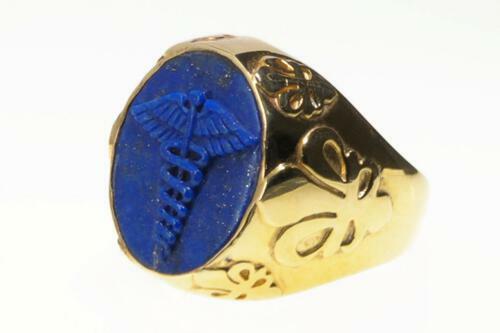 We crafted an oval of genuine lapis and over-laid a gold plated (5 Microns 18K Gold) sterling silver classical griffin to create this stylish heraldic ring. 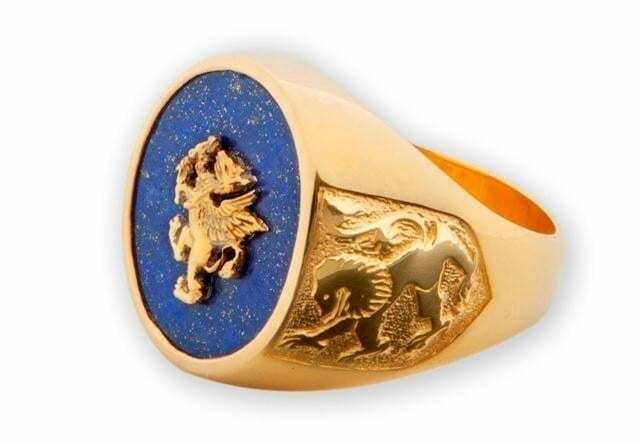 Gold plated (5 Microns 18K Gold) sterling silver chassis with the lion of Scotland shoulder embellishments to create a wonderful and unique griffon ring. 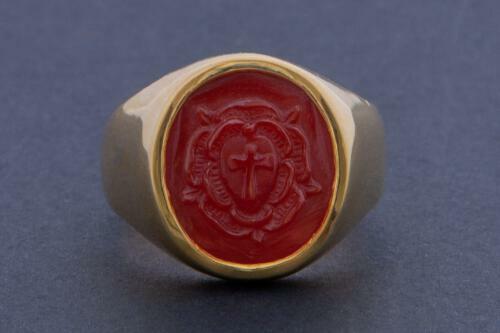 The carved roundel measures 20mm diameter (25/32 inch). 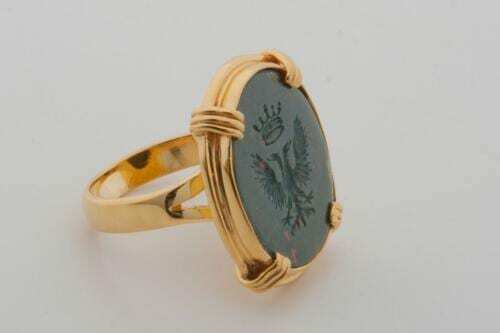 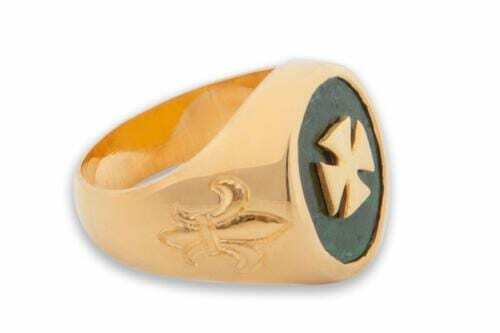 This is one of our medium sized heraldic silver rings.